First things first. The trial process of generating e-way bill has been extended till the next date to be announced. In a recent tweet from the official handle of GOI for the queries on GST @askGST_GoI, it has been announced as pinned tweet. So we can easily go ahead till further notice. But in the mean time we can utilize this lean period in understanding the process. 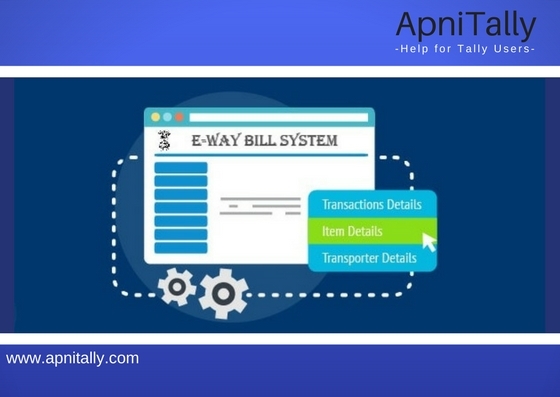 We can easily go through the process of generating e-way bill via portal from the bills you have generated in Tally.ERP 9. 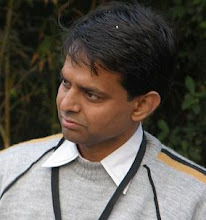 It is quiet evident that you have to generate bill first in Tally and then you can go to the portal i.e. ewaybill.nic.in and don't be surprised if this portal is not working as these are the glitches which forced the govt. to differ the date of e-way bill. There are many videos on youtube which would guide you how to get registered on e-way bill portal and how to generate e-way bill. For example this link gives you complete details about how to register on e-way portal in Hindi, where as this link takes you through the whole process of generating e-way bill for your invoices. This article from Tally Solutions explains step by step process of generation of e-way bill. If you are using Tally.ERP 9 then you would find that this process becomes more easy as you can copy paste the details from your Tally invoice to e-way portal directly and the process becomes easy. What you have to do is just press "Ctrl + Alt + C' to copy any field e.g. Party name or his GST number or Item name or taxable value and paste it on portal by using usual "Ctlr+V" command. You can see the print preview of the invoice and note down the correct HSN code of each item. In that way you can generate e-way bill without any error. Later on after successfully generating bill you can paste the bill number in the narration field of the same invoice. Tally rel 6.4 would be coming soon online Which would be having many updates related to e-way bill. The first one would be that Tally would warn you about the need for e-way bill. The second thing it would provide would be the the facility to export the invoice in json format which can be directly uploaded to the portal and eway bill can be generated. Later that number can be added to invoice. It would also give you facility to upload multiple bills in one go. The last updated would be giving you reports on bill numbers and their e-way bill numbers so that you can easily track your invoices. As it has been done many times by Tally, this time too Tally would walk the GST journey along with you. In case you want to update yourself and buy Tally you can give you number to me by clicking on this link. Our team would not only give you software, it would help you in implementing Tally in your organisation.